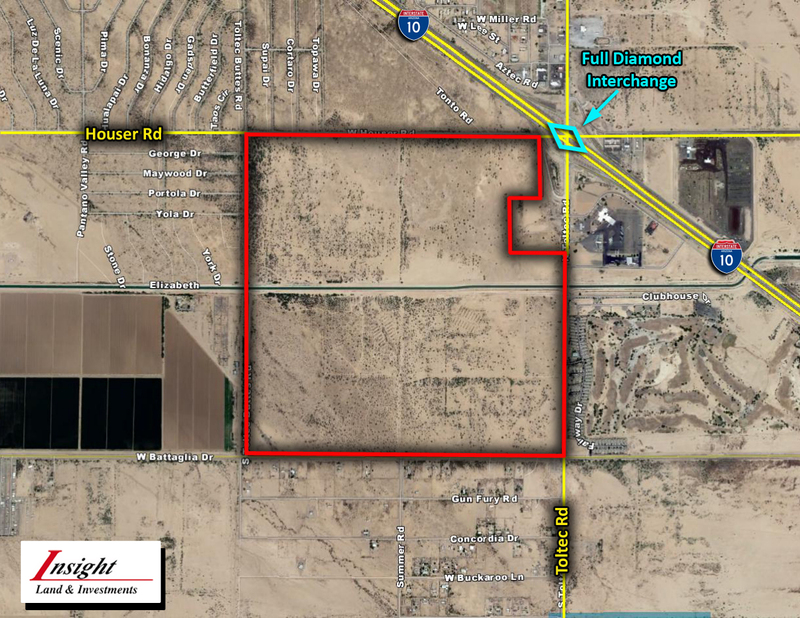 Property is located at the Southwest corner of Toltec Rd & I-10. Toltec Rd is a full diamond interchange and one of only 3 interchanges south of the I-10/I-8 junction. Great for a mixed-use development or as an investment.